The largest global sports media property in Asian history, ONE Championship™ (ONE) and Rich Franklin's ONE Warrior Series have just announced that one of the next legs of recruiting for Season 2 will take place on 21 May at Tiger Muay Thai in Phuket, Thailand. Rich Franklin's ONE Warrior Series is a travel series talent search which runs in 30-minute episodes. The show aims to discover new martial arts talent across Asia, providing promising young athletes with the platform to unleash their martial arts greatness. Franklin, who serves as the show’s host, travels across the Asian continent with co-host Jonathan Fong, searching for talent, while experiencing local cultures and testing their boundaries. Deserving prospects are rewarded with a USD 100,000++ contract with ONE Championship. 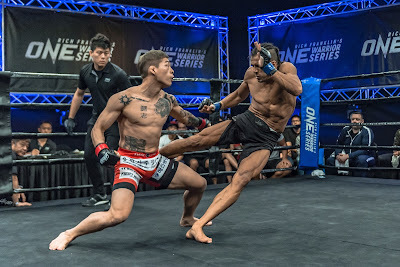 In addition, a fourth ONE Warrior Series entrant, Akihiro Fujisawa, was promoted straight into an ONE Championship contract during filming of the first season. He made his promotional debut at ONE: HEROES OF HONOR in Manila last 20 April, defeating Kaji Ebin via technical knockout, earning him the first tranche of the six-figure contract.